Who wants to go to Google or break out the library of programming books every single time you get stuck on something? Below is a compilation of extremely useful cheat sheets, which can be printed, laminated and placed nearby for easy reference while doing your web development and design. 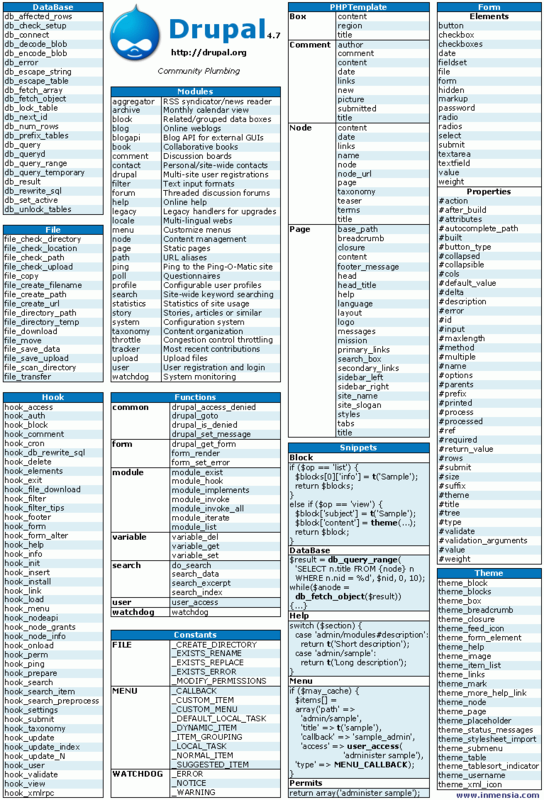 Everyone has moments where a function cannot be remembered, and that is where these cheat sheets can be lifesavers. Bookmark this page for an easy portal to all of the cheat sheets, or an individual page if you find it helpful. Please don’t hesitate to post any cheat sheets we neglected to include, for this is about sharing knowledge. You did a really nice job on both sheets. Is there a way to download them all separately or together?